Image Courtesy of HardwareZone PH! 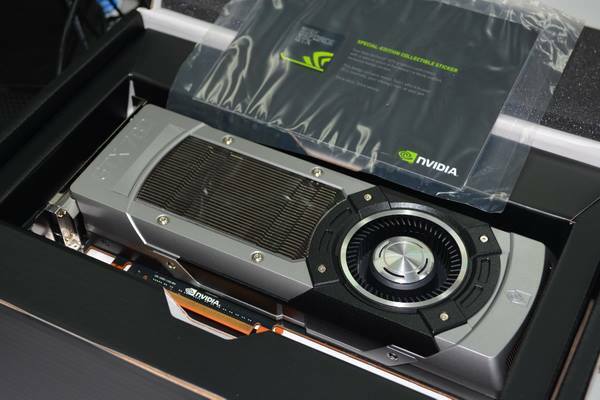 The first benchmarks of the upcoming GeForce GTX 780 have been unveiled by Chiphell forums. The benchmarks show that the GeForce 700 series graphic card is on average 20% faster than the GeForce GTX 680. The GTX 780 would be the flagship product of the 700 series and would be based on a cut down version of the GK110 core codenamed “GK110-300-A2″. This core would have 2304 cores and a 3 GB GDDR5 memory which would operate along a 320/384-bit memory interface. The core is maintained at 837 MHz with Turbo boost of 902 MHz while the memory operates at the reference 1502 MHz of 6 GHz effective clock speed. The GPU would make use of the cooler from GeForce Titan which would allow for better thermal specs providing users more overclocking headroom. The pricing is suggested around the 500-600 Euros mark for GeForce GTX 780 while overclocked models which would also be available at launch are going to cost slightly more. Reports suggest that the GeForce GTX 780 would be the first GK110 GPU that NVIDIA would allow AIBs to offer with custom board models. The GeForce GTX 780 launches on 23rd May 2013 as the flagship GPU of 700 series followed by GTX 770 on 31st May and GTX 760 Ti in June 2013.